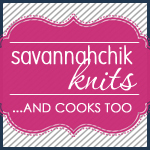 Plum Dandi is holding a KAL that starts today – knit any sweater pattern that they offer to be entered into the drawing for some awesome prizes. I quickly decided that I wanted to knit Briquette out of Miss Babs Yowza in Scarlet Letter. Pretty color and the hoodie is something I’ll get a lot of wear out of on the weekends. 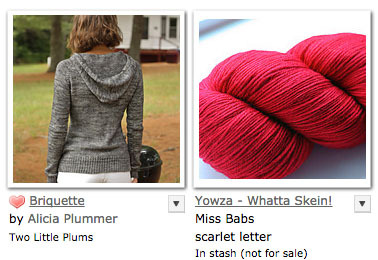 But then I looked at my sweater yarn stash – I actually have several choices. Going with my “be more deliberate” approach that I’m taking on this year I wanted to make sure I wasn’t making a rash decision. I don’t want to frog this just because it wasn’t a good choice. Briquette in GGH Bali Brown with a small stripe (or two) on the sleeve with the blue. I like the sportier look for the weekend. 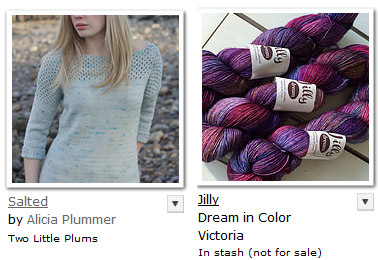 Pier 60 out of Dream in Color Jilly. 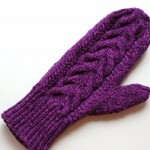 The pattern is designed for worsted so it would be a big change from the original. I think the stitch pattern could work really nicely in this colorway though and the neckline makes it fit the lighter weight feeling of the yarn. This could be inspired or irrational. Salted in Jilly as well. 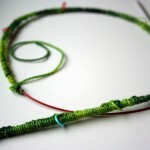 I like that someone else made one in Tosh Merino Light (a very similar yarn) but it’s in a more solid colorway. 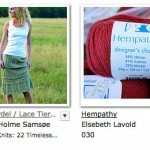 How will the openwork look at the top? I don’t need you to see it well but I want to make sure it doesn’t detract. And for the body I could do it in reverse stockinette stitch (knitting it inside out so I do knits in the round instead of purls). I’m really not sure which way I want to go at this point. One thing all these options have is that I’ll finish it right before spring starts so I’ll get a lot of wear out of it. What do you think? Any other options that you see here? What are you joining in with for the KAL? 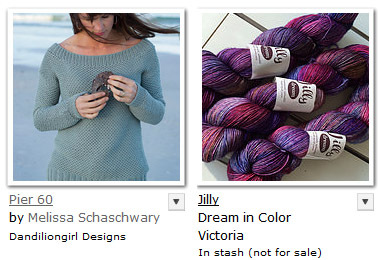 kal, WIPs 2015 alicia plummer, kal, melissa schaschwary, pullover, stash, sweater, yowza. permalink. 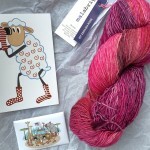 The Jilly yarn is fabulous. I think Pier 60 + Jilly = Inspired. 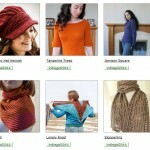 The neckline and stitch pattern on Pier 60 is extremely pretty. I also think the Briquette pattern is extremely wearable, as you say. It’ll be fun to see what you decide upon and watch the progress here. I like all the choices you’ve come up with, whatever you end up choosing will be great!